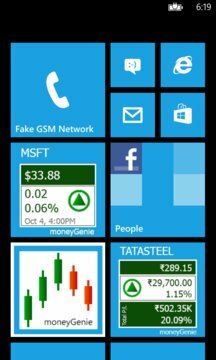 moneyGenie is a simple but smart stock market application that allows investors to track equity prices across various stock markets in the world. It offers sophisticated Portfolio Management using multiple portfolios with multi-currency support and support for long as well as short positions with margin. 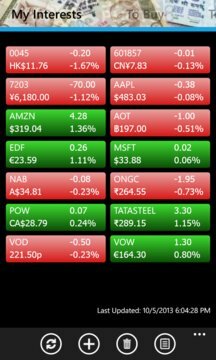 It offers multiple watchlists and portfolios with highly optimized fast refresh allowing you to track even 100+ stocks in very organized and effective manner. It offers neat and clean, pleasant intuitive UI with original phone theme awareness. moneyGenie's goal is to encourage and help individuals in investing and trading in the stock market.